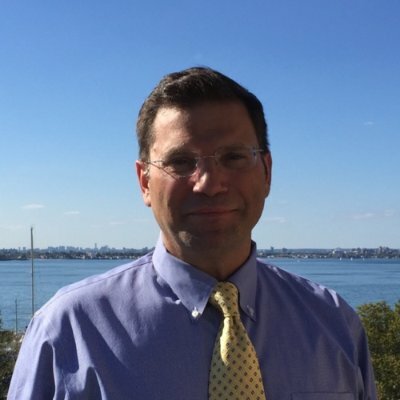 Dr. William Caliendo is a Professor of Marine Engineering at the U.S. Merchant Marine Academy, where he has taught for past decade. Since 2013, he has served as the Director of the USMMA’s Master of Science in Marine Engineering (MMarE) Program, concurrent with his teaching responsibilities. Prior to joining the faculty of the USMMA, he was an Assistant Professor at SUNY Maritime College. Before entering academia, he was a naval architect with C.R. Cushing & Co. Within SNAME, he has served as Atlantic North Regional Vice President and Chairman of the NY Metropolitan Section. He has held a variety of positions within the NY Met Section as well as Committee Chair for several conferences sponsored by the Section. Dr. Caliendo has also been an online instructor in the SNAME sponsored PE review course for the NAME Professional Engineer’s License exam since 2006. Since 2005, he has been a member of the NCEES Fundamentals of Engineering Exam Committee. He is a Fellow of the Society. He earned his Ph.D. and Master of Engineering in Ocean Engineering from Stevens Institute of Technology in 2011 and 1998, respectively. He earned his Bachelor of Engineering in Naval Architecture from SUNY Maritime College in 1991. He is a Professional Engineer in the State of New York, and holds a USCG Merchant Mariners Credential as a Third Assistant Engineer of Steam, Motor and Gas Turbine vessels of Unlimited Horsepower. 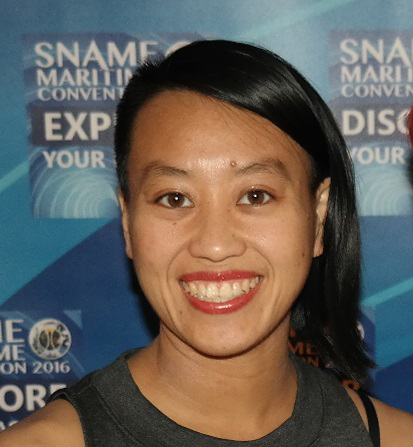 Jane Louie is the Naval Architecture Department Manager at Gibbs & Cox, where she has worked for over 10 years. While there, she has worked primarily on USN ships, with a focus on weights and stability. Jane has been active at the SNAME section level since 2002, serving as Chesapeake Section Chair 2012-2013, as well as Meetings Chair, YP Chair, T&R Liaison, and webmaster. At the national level, Jane served as Alternate VP of Knowledge Management, Publications Chair, and was active on the Electronics Media Committee and SD-3 Stability Ship Design Panel. She has been active on the SNAME PE Exam Writing Committee since 2010. Ms. Louie earned her Bachelors and Masters degrees in Ocean Engineering from Virginia Tech in 2002 and 2011, respectively. She earned her Professional Engineer license in the state of Virginia in 2008.